St. Sebastian Dabovich: If you are truly interested in the welfare of your children . . . If you are truly interested in the welfare of your children, why do you not watch as strictly, but once a week, how they attend to their lessons in the study of the Law of God, as you do in some home-work, which the children seemed to be forced to have prepared within the next twelve hours for their public school? You must obey God, above the public and all other masters, or lose your souls for the responsibility which rests upon you for the present and future welfare of your children. Where there is intellect, there always will be knowledge. Still, you must educate the child. Teach the boy and girl geography and history; but if you do not train the child’s will, in order not only to please you, its parents, but to bend before the holy will of Him, who is the only just rewarder of good and evil, then you are a failure as a Christian. Where there is no discipline, there is no constancy. This entry was posted in Sayings from Saints, Elders, and Fathers, St. Sebastian Dabovich and tagged Academics, Discipline, Knowledge, Modernism, Orthodox Education, Parents, Raising Orthodox Children, Self-Will on August 1, 2016 by ocqadmin. Elder Thaddeus: We think we know a lot . . .
We think we know a lot, but what we know is very little. Even all those who have striven all their life to bring progress to mankind — learned scientists and highly educated people — all realize in the end that all their knowledge is but a grain of sand on the seashore. All our achievements are insufficient. This entry was posted in Elder Thaddeus, Sayings from Saints, Elders, and Fathers and tagged Academics, Death, Knowledge, Orthodox Education, Progress, Reason/Rationality, Science on October 25, 2015 by . St. Anthony the Great: Men are often called intelligent wrongly. Intelligent men are not those who . . . This entry was posted in Sayings from Saints, Elders, and Fathers, St. Anthony the Great and tagged Abstaining from Evil, Academics, Evil, Good and Evil, Goodness, Intellect, Logic/Logical Mind & Thinking, Orthodox Education, Overcoming Sin/Passions, Quotes from the Philokalia, Raising Orthodox Children, Soul on July 29, 2015 by . St. Maximos the Confessor: The person who loves God values knowledge of God more than anything created . . . This entry was posted in Sayings from Saints, Elders, and Fathers, St. Maximos the Confessor and tagged Knowing God, Knowledge, Material World, Orthodox Education, Quotes from the Philokalia, Reading the Scriptures, Spiritual Knowledge, Spiritual Reading, Worldliness on July 22, 2015 by . St. John of Kronstadt: The Church, through the temple and Divine service, acts upon the entire man . . . This entry was posted in Sayings from Saints, Elders, and Fathers, St. John of Kronstadt and tagged Attending Church, Holy Scriptures, Hymns of the Church, Icon, Incense, Orthodox Education, Raising Orthodox Children, Reading the Scriptures, Senses, Services of the Church, The Church, Veneration of Icons on October 16, 2014 by . St. Nikolai Velimirovich: My child, just read! 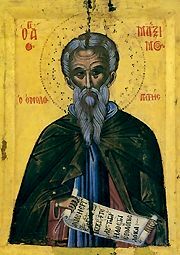 A monk complained to St. Arsenius that while reading Holy Scripture he does not feel, neither the power of the words read nor gentleness in his heart. To that the great saint will reply to him: “My child, just read! I heard that the sorcerers of serpents, when they cast a spell upon the serpents, the sorcerers are uttering the words, which they themselves do not understand, but the serpents hearing the spoken words sense their power and become tamed. The Holy Spirit Who, through inspired men, wrote these divine words, will hear, will understand and will hasten to your assistance; and the demons will understand will sense and will flee from you. That is: He Whom you invoke for assistance will understand, and those whom you wish to drive away from yourself will understand. And both goals will be achieved. This entry was posted in Sayings from Saints, Elders, and Fathers, St. Nikolai Velimirovich and tagged Conquering Evil, Demons, Evil, Hardness of Heart, Heart, Holy Scriptures, Holy Spirit, Living Orthodoxy, Magicians, Orthodox Education, Reading the Scriptures, Spiritual Reading, Spiritual Warfare, Words on May 21, 2014 by . St. Justin Popovich: If you wish, the Lives of the Saints are a sort of Orthodox Encyclopedia. . . . This entry was posted in Sayings from Saints, Elders, and Fathers, St. Justin Popovich and tagged Faith, Help, Hope, Humility, Immortality, Lives of the Saints, Living Orthodoxy, Love, Orthodox Education, Orthodox Faith, Overcoming Sin/Passions, Passions, podvig, Prayer, Repentance, Righteousness, Saints, Soul, Spiritual Food/Drink, Truth, Virtue on February 1, 2014 by . 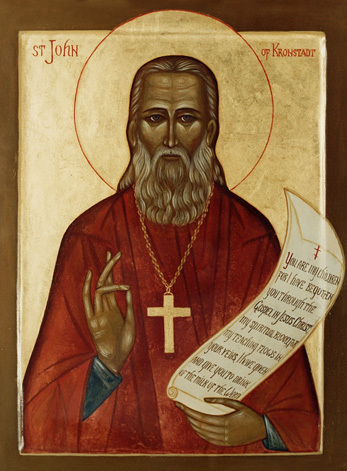 St. Nikon of Optina: In order to fulfill the commandments of Christ . . . This entry was posted in Sayings from Saints, Elders, and Fathers, St. Nikon of Optina and tagged Commandments, Holy Gospel, Holy Scriptures, Living Orthodoxy, Needs Source, Orthodox Education, Quotes of the Optina Elders, Reading the Scriptures, Short Quotes on December 6, 2013 by . St. John Chrysostom: Wherefore, I exhort you, when we receive children from the nurse . . .
— St. John Chrysostom, Homilies on 2 Thessalonians, Homily 2. This entry was posted in Sayings from Saints, Elders, and Fathers, St. John Chrysostom and tagged Final Judgement, Hell, Living Orthodoxy, Orthodox Education, Passions, Raising Orthodox Children on November 6, 2013 by . St. John Chrysostom: We spare neither labors nor means in order to teach our children . . . This entry was posted in Sayings from Saints, Elders, and Fathers, St. John Chrysostom and tagged Academics, Orthodox Education, Raising Orthodox Children on October 9, 2013 by .